Effective April 2017 Kodak, in partnership with Rochester Institute of Technology (RIT), has developed a new substrate testing protocol for the Kodak NexPress Platform that expands the overall capability of the testing program. PAPER BUYERS DEPEND ON TESTING TO ASSURE QUALITY AND PERFORMANCE. With over 10,000 unique visits per year to RIT’s web-based substrate listings, printers depend on third-party qualifications. Qualified substrates provide assurance of quality performance and allow for fast installation of the substrate set-points into the NexPress DFE. KODAK HAS NAMED RIT AS THE OFFICIAL WORLDWIDE QUALIFICATION PARTNER. Launched in 2000, Nexpress has over 1,000 presses installed worldwide in over 54 countries. The average NexPress runs over 500,000 impressions per month with some customers printing over 100,000,000 pages since install. QUALIFIED PAPERS WILL BE PROMOTED TO RIT’S DATABASE. RIT will exclusively host the listing of NexPress substrates which will include access to those substrate script files. New qualifications will be routinely announced through industry PR channels and awareness campaigns (newsletters, blogs) to the RIT database of over 8,300 industry contacts. Paper testing not related to Kodak NEXPRESS qualification is billed at the PAL hourly rate of $365 per hour. A quote will be provided estimating the costs of testing, machine setup, maintenance, and materials. 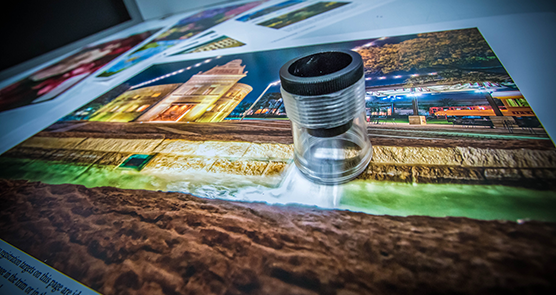 For more information on testing proceedure and deliverables of the Kodak NEXPRESS Digital Production Color Press Substrate Qualification Program, please click on the press or the link below.